If you are hosting an event, you need the right equipment so everything runs smoothly. In many instances, renting equipment is more cost effective than buying it. At The Alleen Company, we want to help you host your event the right way. We offer tent, chair, and table rentals that are perfect for your next outing. Our table rentals are some of the most common items businesses and individual need for events. In today’s blog post, The Allen Company looks at four events that require rented tables. Weddings are arguably the most common events that require table rentals. As a wedding host, you need plenty of tables for your guests and wedding parties. 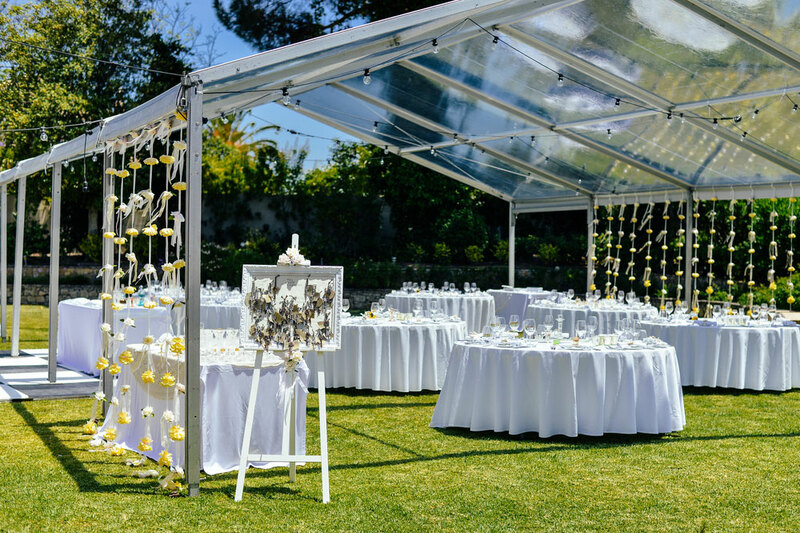 Since weddings are one-of-a-kind events, rentals are a necessity. Unless you can find a venue that has enough tables, rentals are the best way to take care of all of your guests and maintain a consistent theme for your wedding. The Alleen Company regularly offers table rentals for weddings, providing round/cocktail tables, banquet tables, and even farm tables. Corporate outings and events typically have bigger crowds than weddings. Whether you host a conference or quarterly lunch, corporate events could draw hundreds of guests. Unless your venue can provide tables for those kinds of numbers, you need table rentals for the event. Many conference centers or banquet halls do offer tables, but they often don’t provide them in the numbers that you need as The Alleen Company can. Table rentals are very helpful for birthday parties, especially if you host younger children with their parents. Many locations and attractions won’t have tables available for children’s birthday parties, leaving you without a place for cake, ice cream, and gifts. Renting tables from The Alleen Company can solve that problem and make this birthday party one to remember. Many churches have tables for smaller weekly events, but they might not have enough tables for bigger gatherings. For these larger gatherings in the parish hall, table rentals are vital for accommodating all of your guests and making life easy on your members. If you are looking for table rentals for your next event, let The Alleen Company help. For more information on what we offer, give us a call at (513) 769-0393 or contact us online today.